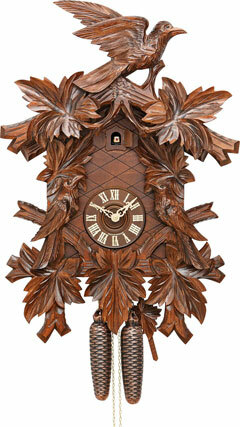 Beautifully carved 17 3/4 8 day cuckoo clock by Rombach & Haas with leaves. 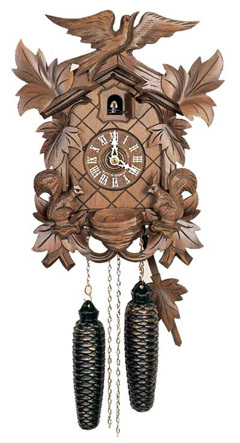 This old fashioned cuckoo clock features wooden hands, dial and cuckoo bird. The detailed leaf style carvings are complimented by a croosed front. 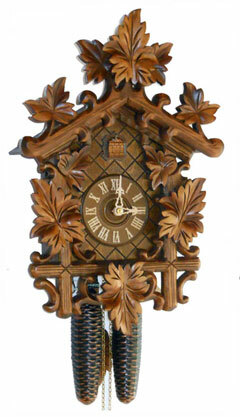 Nicely carved 13 inch 8 day clock by Hubert Herr. 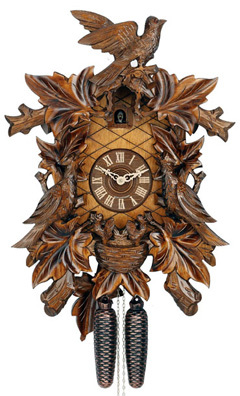 Clock features nicely carved moving squirrels. 19 inch 7 leaves 3 bird design by Hubert Herr. 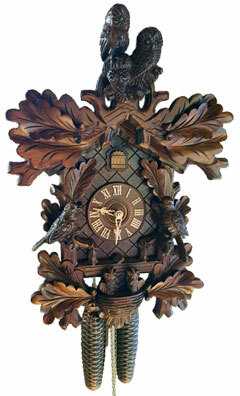 Clock features deep carvings of birds and leaves. 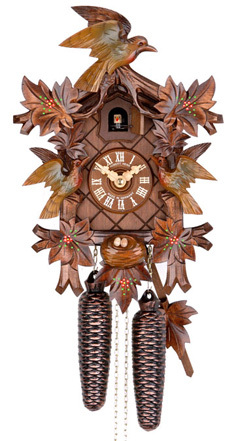 Traditional carved 24 inch inch 8 day cuckoo clock by Hekas. 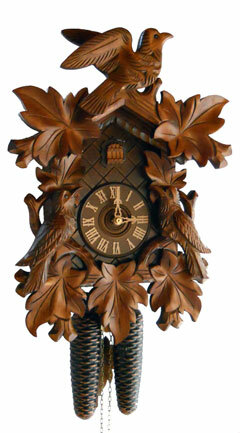 Clock features deep carvings of birds and leaves. 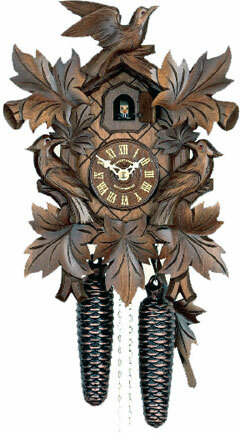 Wooden dial, hand, cuckoo bird and crossed front compliment the overall look of this nicely carved cuckoo clock. 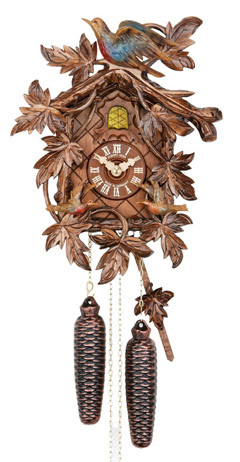 This beautifully crafted 18 1/2 inch 8 day cuckoo clock by Rombach & Haas features two 3-dimensionally carved owls with glass eyes on top, 2 birds on the side and a cuckoo nest on the bottom. New Model by Hubert Herr. 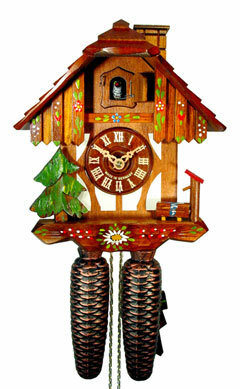 Gorgeous 14 inch 8 day cuckoo clock with moving features. Very detailed hand carved leaves and birds.